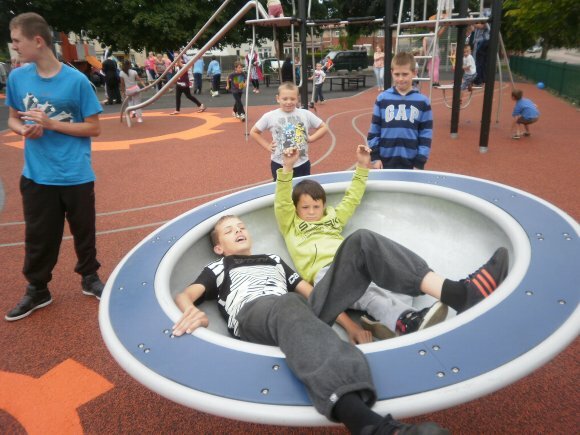 Revolve � Large spinning bowl suitable for all ages and can accommodate six users. 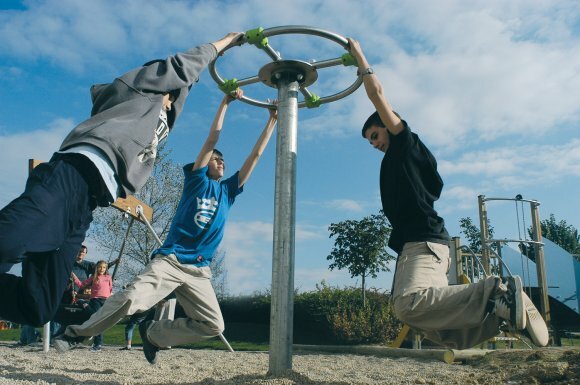 Hip Hop � Spinning and bouncing item for two users that provides multi-directional play experiences. 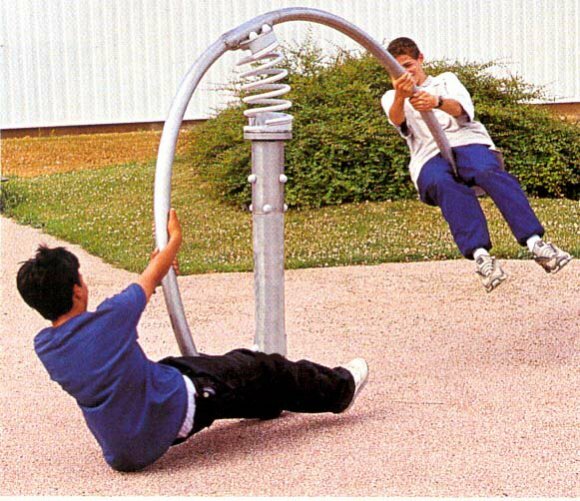 Roll Up � Overhead rotator designed to lift users off the ground when spinning. Suitable for children seven plus years of age. 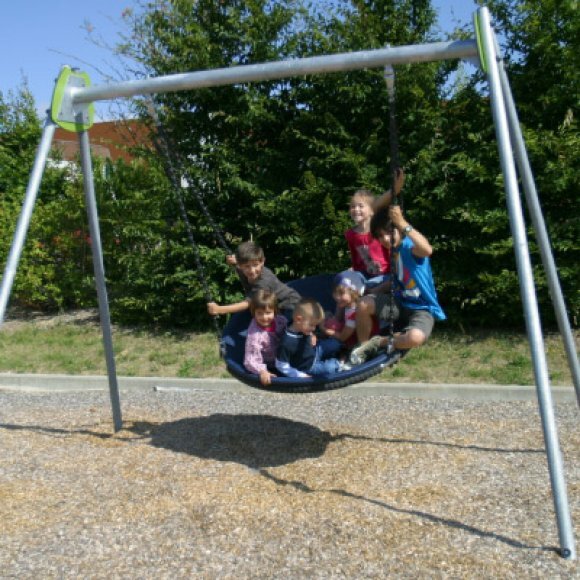 Pod Swing � Large swinging bowl suitable for all ages and can accommodate six users. 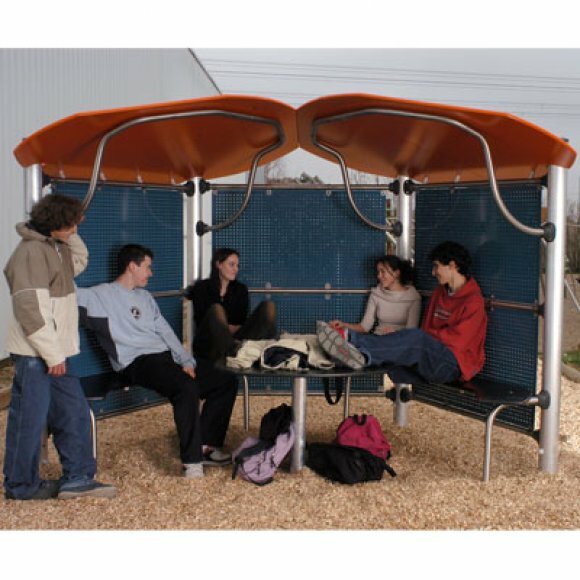 Meeting Point � Shelter for six to nine users and comes with either bench or lean back seating and with or without side panels. 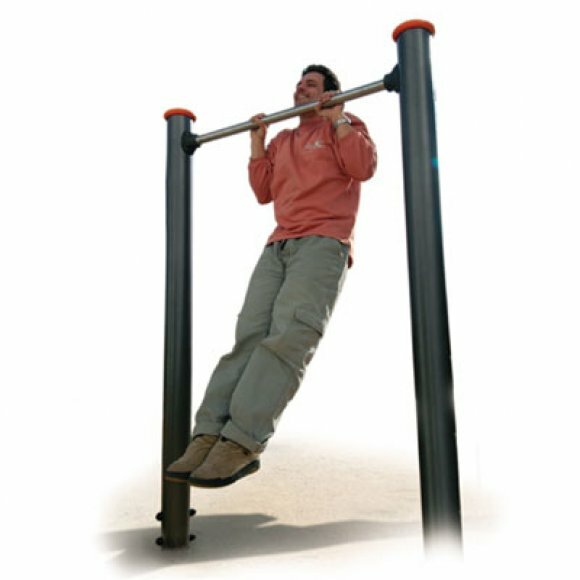 Horizontal Bar � Encourages trim trail and fitness activities such as pull ups and somersaults for toning/strengthening exercises. 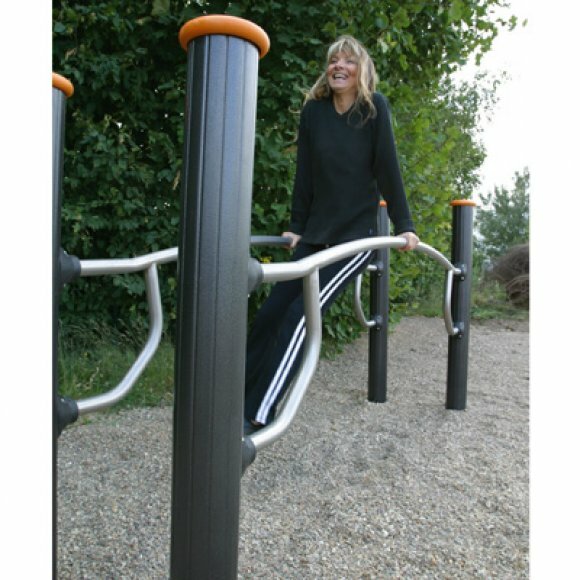 Parallel Bar � Encourages trim trail and fitness activities such as dips for toning/strengthening exercises. 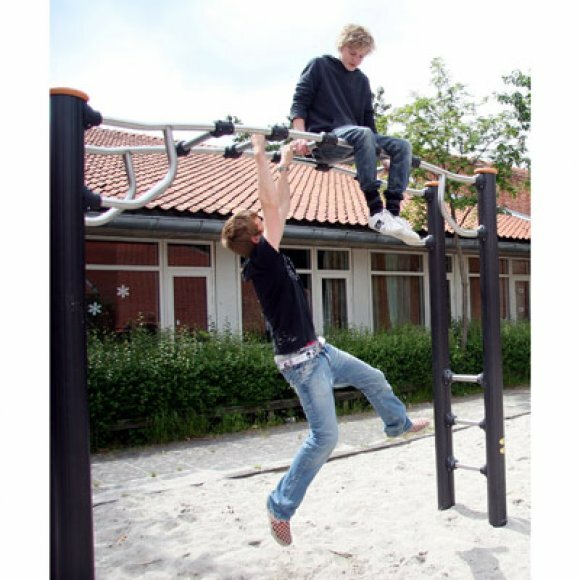 Monkey Bars � Encourages trim trail and fitness activities such overhead traversing for toning/strengthening exercises. 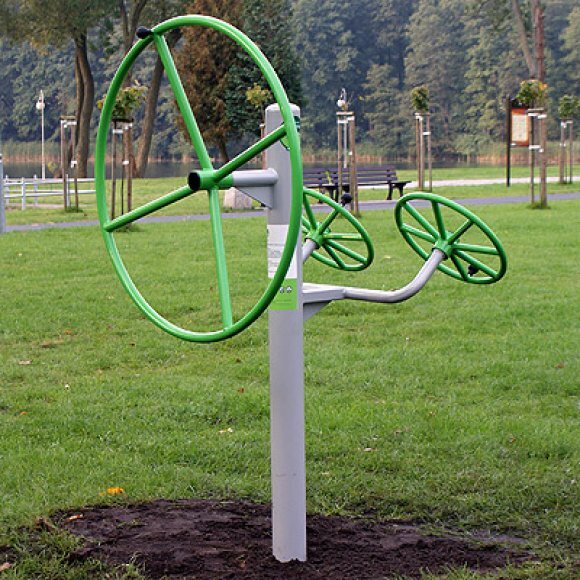 Tai Chi Station � Encourages trim trail and fitness activities in particular improves circulation. 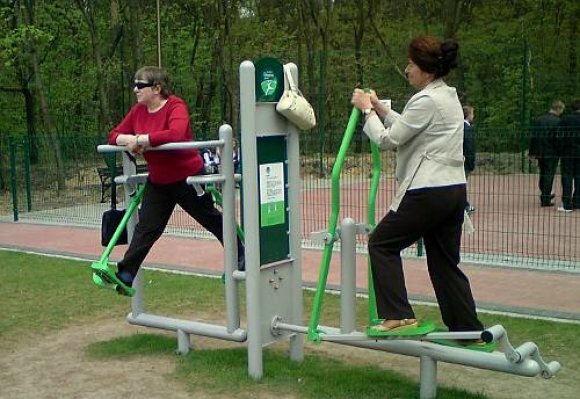 Cross Trainer and Air Walker � Encourages trim trail and fitness activities in particular cardio vascular exercise. Table Tennis Table � Constructed from concrete with metal net for durability. Rodeo Board � Windsurf simulator for single or multiple users. 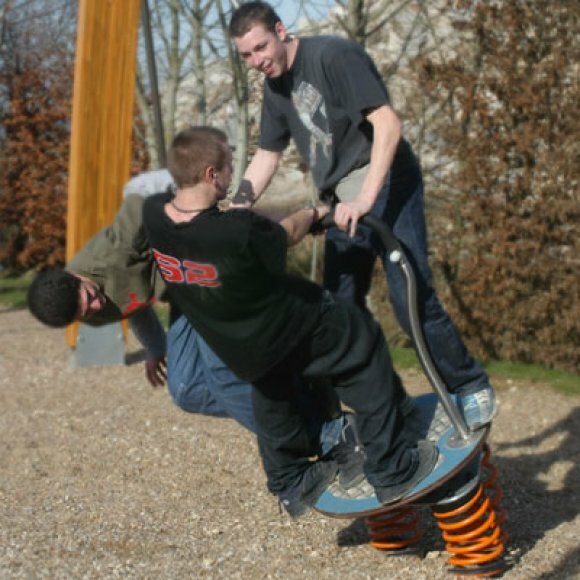 Encourages competitive play between peers. All items used to their maximum would accommodate forty users.